In the first few years of marriage my husband and I really struggled with healthy communication. I hated confrontation of any kind. So much that one night when we were having a "discussion" around midnight(because that's the best time to discuss things) I actually kicked my husband in the shins in attempt to run away from a conversation. We can now laugh about that story and I have since learned how to communicate without kicking. :) From that experience, and many others, God has shed much light to me about our influence and role as a wife. Whether we realize it or not, God has given us a significant amount of influence on our husbands. We get to choose, on a daily basis, if we will use that influence for God's glory or our own personal gain. From the beginning of time satan has come to the woman and had her question if what God said to her husband was true. In Genesis 2:16 God told Adam to not eat from that tree even before Eve was created. When we walked down the aisle and were joined together as one with our husband God anointed us and gave us influence over our husbands that no one else on this earth possesses. We must guard that influence like a treasure. The Bible is full of examples of how women influenced for good or for evil. Some examples include Michal(who saved David's life), Abigail(saved Nabal's life), Queen Esther, Jezebel, Lot's wife and Delilah with Samson. The Lord has anointed us as the wife to be influential to our husband. A good wife is portrayed as a blessing, but a bad wife influences her husband for evil. Take at look at 1 Samuel 16:10-12. David was tending his sheep when he was anointed as king and prepared for the battle to come. If David had tried to skip this phase he would have missed the call on his life. Our “fields” look like changing poopy diapers, doing dishes, folding laundry while our husbands fields may look like work and career. The fields are where we are humbled and prepared for what is to come. 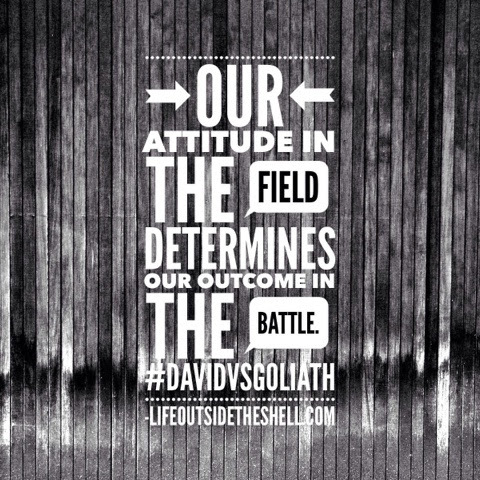 Our attitude in the fields will determine our outcome in the battle. The fields are our place of prayer. As we go through these seasons we have in life it’s important for us to remember that we are one with our husband. We don’t have our individual battles, his being work and ours being the kids, we battle together. That is a fundamental truth that we must ask God to help us truly embrace or we will always be fighting against each other rather than with each other. Ephesians 6:12 reminds us that “we are not fighting against flesh and blood enemies, but against evil rulers and authorities of the unseen world, against mighty powers in this dark world, and against evil spirits in the heavenly places.” We must decide to stop fighting each other and instead fight the enemy. Because he remembered the fields he was able to pick up the stones with confidence. Knowing that he had already been equipped for this battle. He remembered the battles the Lord gave him in the fields. We can win the battles with the 9 foot Goliath the exact same way we win the battles that happen in the fields where no one is watching…on our knees in prayer and with the word of God. Let God fight your battles and receive the glory.Recognize your marriage is a spiritual union between spiritual beings. If this is true and you give your marriage to the Lord then it’s already won. If it’s not spiritual than why involve God? We win our battles against the Goliaths in our lives just as David did...by picking up a stone. God will show us which stone we need to pick up...the word of God, prayer, honor, biblical submission, love. Every stone he will ask us to use will be in the Word of God. 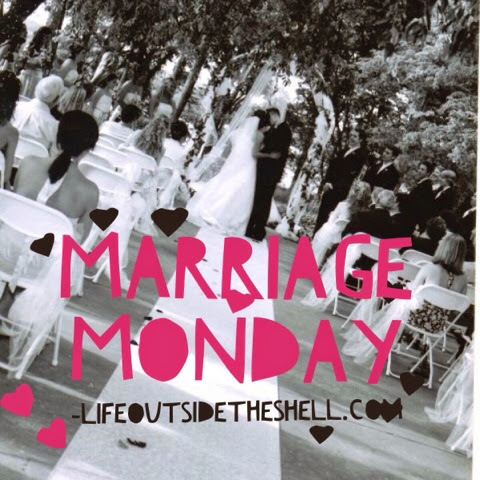 Run to the word and you will find a stone to defeat the Goliaths in your marriage and family! What Goliaths are taunting you and your family today? The battle belongs to the Lord, let him knock out those Goliaths with a stone! Great post, Rachael. It's a shame that more women don't realize the power of their influence. And that all of us don't keep it in mind as much as we should. It's a powerful, and humbling, thing, isn't it? I agree Sheila! And wow how easy it is to forget...I have to be reminded of it daily! This is so true. I just keep forgetting. Especially in our culture today.